Sale Ribbons, Certificates and Misc. 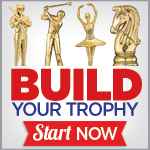 Trophies Medals Sculpture Trophies Plaques Cups Pins Acrylics and Crystals Ribbons, Certificates and Misc. Home Sale Sale Ribbons, Certificates and Misc. Up to 50% Off Original Price!